Capitol City Towing is a dedicated partner for greater Sacramento’s commercial and residential property owners and managers in achieving parking compliance. They are committed to understanding the specific needs and requirements for each individual lot to ensure the best possible outcome for managers and tenants. Call 916-383-3711 to learn how they can help you too. Capitol City Towing provides property owners, property managers and property tenants with quality private property towing services. With a focus on limiting challenges between involved parties, Capitol City Towing fosters an environment of compliance and not conflict. This minimizes the need for time-starved property managers to engage in parking issues and mitigate conflict. 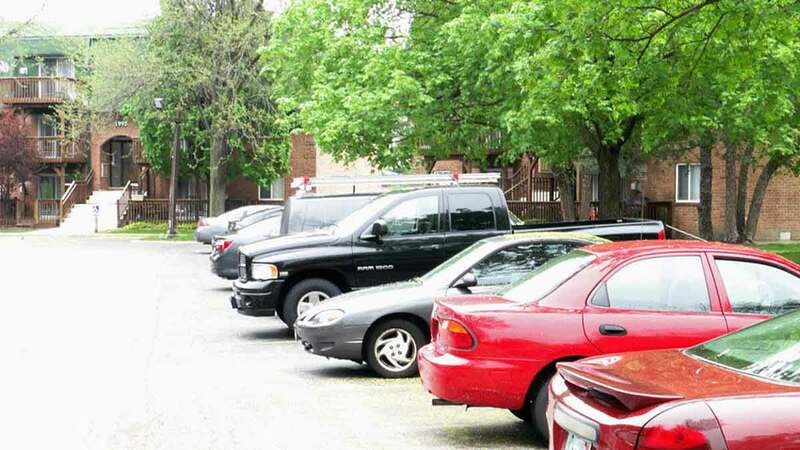 Capitol City Towing can help you effectively communicate, warn and enforce your parking rights and responsibilities to ensure the needs of your customers and tenants are being met. They provide complete private property towing services to shopping centers, office buildings, high schools, colleges, residential complexes and municipalities. Call 916-383-3711 to learn how we can help you too. Capitol City Towing provides private property towing to all commercial and residential complexes in the greater Sacramento area including Rancho Cordova, Arden-Arcade, Carmichael, La Riviera, Rosemont and Florin. As your private property towing partner, they will provide you with free signage, manage all permits and deliver a copy of all pertinent towing statutes. Capitol City Towing is committed to being your long-term towing partner. Capitol City Towing is a permitted Sacramento Towing Service. All of their operators are uniformed, receive background checks and experience random drug testing. 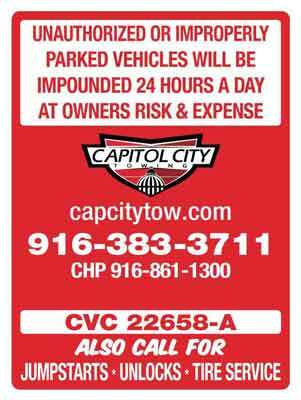 Trust Capitol City Towing as your private towing partner and contact their office now.